View binder features the AgION antimicrobial additive that prevents the growth of bacteria, mold and fungus. Locking round ring mounted on back lid allows pages to lie flat and reduce wear. 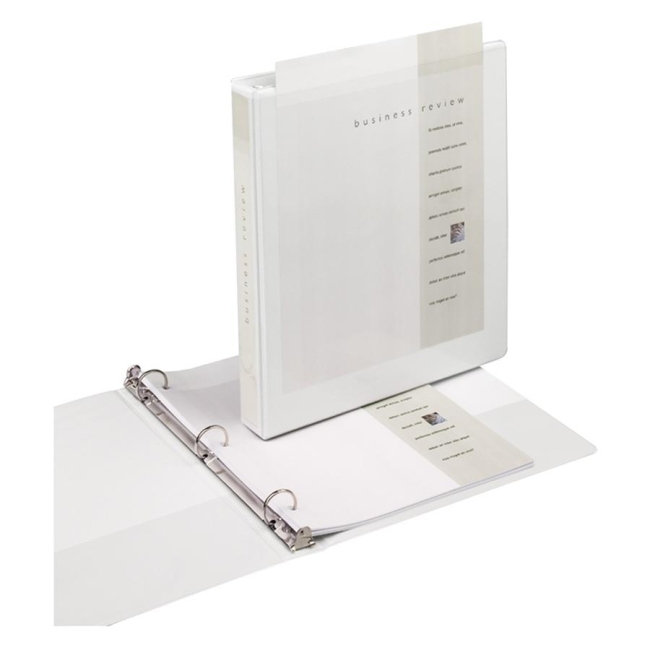 Design features clear overlay to customize front, back and spine for presentation or document storage. Binder also offers two clear inside pockets. Round rings secure 11" x 8-1/2" sheets. Binder is made with 45 percent post-consumer recycled material.